Host Max Tucci catches up with singer/songwriter Radha Mehta at Sundance 2014! Radha is a results-oriented executive manager and business owner with over 11 years of in-depth experience in new business development and operations management across diverse industries including civil engineering and construction management, entertainment, information technology, politics, and finance. Radha is also an award-winning singer/songwriter, a frequent performer of the National Anthem at NBA games across the country, and currently serves on the Board of The Recording Academy (National Academy of Recording Arts & Sciences). 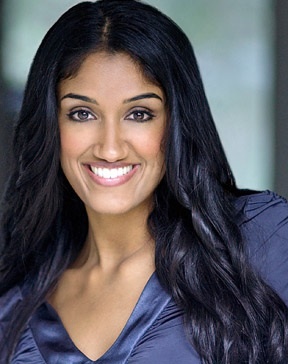 Radha graduated from Duke University with three degrees including Computer Science, Economics, and Marketing & Management, and recently earned an MBA from Northwestern University’s Kellogg School of Management.